In this good N.E.W.S. page, we are providing simple and everyday knowledge from our local NWA professionals to get in super health and great shape each month. Our mission: to expose and provide opportunities of fitness and health to everyone in NWA; every age and every discipline. Each month will be themed with a workout and journal. Each theme will have a topic, which will be discussed on our YouTube channel. If you are participating in our SuperFit Campaign, please be sure to sign up and log your entries! To be a part of the good N.E.W.S. blog, join as one of our Professional Members and have your input on our facebook page along with the chance to be on our good N.E.W.S.letter each month. Eat 5-7 balanced meals per day. Never skip breakfast. Be sure to have protein, carbohydrates, and healthy fats with each meal. There is not another time like now to get in the best shape of your life. You can’t out exercise your nutritional intake and you can’t out sleep your water intake – it takes a balance. Follow some of our easy tips to stay away from the harmful effects of obesity. Calorie intake vs calorie output is a good thought to be aware of weight gain. Our list of fitness professionals can help guide you to a better you! Click here to find who we recommend. To view the point value of the foods you eat, click here to see the best nutritionally dense foods for you. Our goal is for you to optimize your immune system, feel better about yourself from the hard work you are going to put it through, and to minimize body fat while maintaining muscle mass. Along with fueling your muscles with proper carbohydrates and recovering with proteins and free aminos, nutrition can also play a role in your mobility through combating joint pain and inflammation. View the nutritionists here in NWA or view the local NWA Food banks to find locations where food can be provided with assistance. Mobility routines before and after every workout are a great way to increase functional strength and range of motion. Find a way to move energetically and consistently for at least 30 minutes for a minimum of 4 days a week. There are multiple types of exercises but are not limited to running, riding a bike, rollerblading, swimming, hiking, doing our SuperFit exercises above, going to the gym (with supervision and proper training), dancing, playing sports, crossfit training, just to name a few. Ultimately, you want to talk to a trainer to receive the proper training to perform the exercises correctly with the right technique so you don’t injure yourself and for them to guide you on how to achieve the proper muscle growth the way that you want. 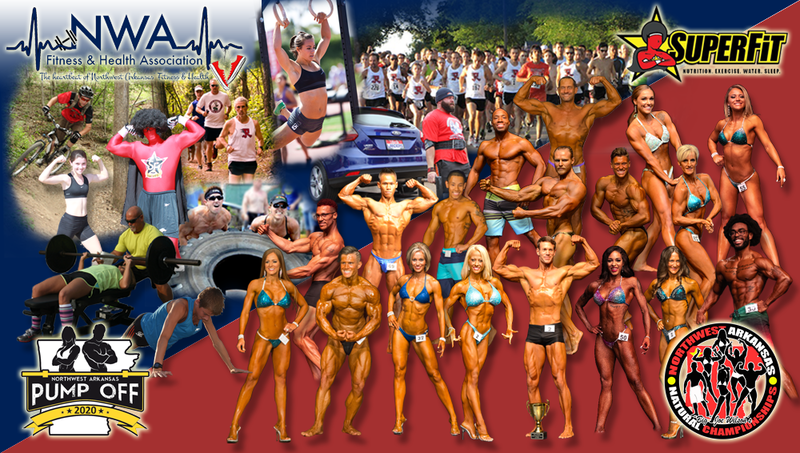 View the certified and credible trainers/coaches here. To be in our SuperFit Campaign and raise money for your chosen non profit, become a SuperFit Candidate. You will be able to download and print off our monthly exercise regimen and be able to have people follow your progress. The body is approximately 75% water. Water regulates body temperature and provides a way of nutrient transportation to the organs and tissues. It also transports oxygen to your cells, removes waste, and protects your joints and organs. Dehydration is one of the most common underlying causes of countless health issues—everything from headaches and constipation to blood pressure problems. But most people don’t associate dehydration with joint pain and stiffness. You can start to lower inflammation in the joints by eliminating or cutting back on the drinks I mentioned earlier that act as diuretics. And you need to be drinking plenty of water every day–1/2 gallon a day is not unreasonable for most people. Distilled water is best for ensuring safe drinking water. At first, increasing the amount of water you drink may not seem like it’s doing much good. In the beginning, it may just make you go to the bathroom more often, but as the matrixes begin to swell again and regain their ability to retain water, that will subside. It’s like trying to water a plant when the surrounding soil has dried up. When you first water it, it takes a few times before it the pectin rehydrates and begins to retain the much needed water. A similar thing happens with your joints. However, if you want PERFECT HYDRATION, look into a Superior Filtration Kangen Water Machine. Commissions received from a direct purchase of a Kangen machine will go towards a district’s commercial Kangen Water machine (worth $6000). View testimonials here. Contact us for more information. Get 7 hours of sleep per day. Sleep is often one of the first things to go when people feel pressed for time. Many view sleep as a luxury and think that the benefits of limiting the hours they spend asleep outweigh the costs. People often overlook the potential long-term health consequences of insufficient sleep, and the impact that health problems can ultimately have on one’s time and productivity. Many of the costs of poor sleep go unnoticed. Medical conditions, such as obesity, diabetes, and cardiovascular disease, develop over long periods of time and result from a number of factors, such as genetics, poor nutrition, and lack of exercise. Insufficient sleep has also been linked to these and other health problems, and is considered an important risk factor. Although scientists have just begun to identify the connections between insufficient sleep and disease, most experts have concluded that getting enough high-quality sleep may be as important to health and well-being as nutrition and exercise. Risk Assessment Determining the risks posed by insufficient sleep is complicated. Medical conditions are slow to develop and have multiple risk factors connected to them. What we do know is that sleeping fewer than about eight hours per night on a regular basis seems to increase the risk of developing a number of medical conditions. The study results below show that reducing sleep by just two or three hours per night can have dramatic health consequences. Obesity—Several studies have linked insufficient sleep and weight gain. For example, one study found that people who slept fewer than six hours per night on a regular basis were much more likely to have excess body weight, while people who slept an average of eight hours per night had the lowest relative body fat of the study group. Another study found that babies who are “short sleepers” are much more likely to develop obesity later in childhood than those who sleep the recommended amount. Diabetes—Studies have shown that people who reported sleeping fewer than five hours per night had a greatly increased risk of having or developing type 2 diabetes. Fortunately, studies have also found that improved sleep can positively influence blood sugar control and reduce the effects of type 2 diabetes. Sleep is free, however it’s the most sacrificed essential piece to living a healthy and happy lifestyle. Getting adequate sleep the first night after learning a new skill is important for improving memory and performance. This sleep recommendation guide will give you the hours suggested for each age range.